I'm a very seasonal color polish wearer. I save my vamps and dark colors for fall and winter, and wear my brights and pastels for spring and summer. I pretty much follow this faithfully. It's not because I feel like I have to it, it's really just my polish mood tends to fit the season. That being said, sometimes I want to reach for an all-around color. A color that really doesn't fit a particular season, but could fit them all. 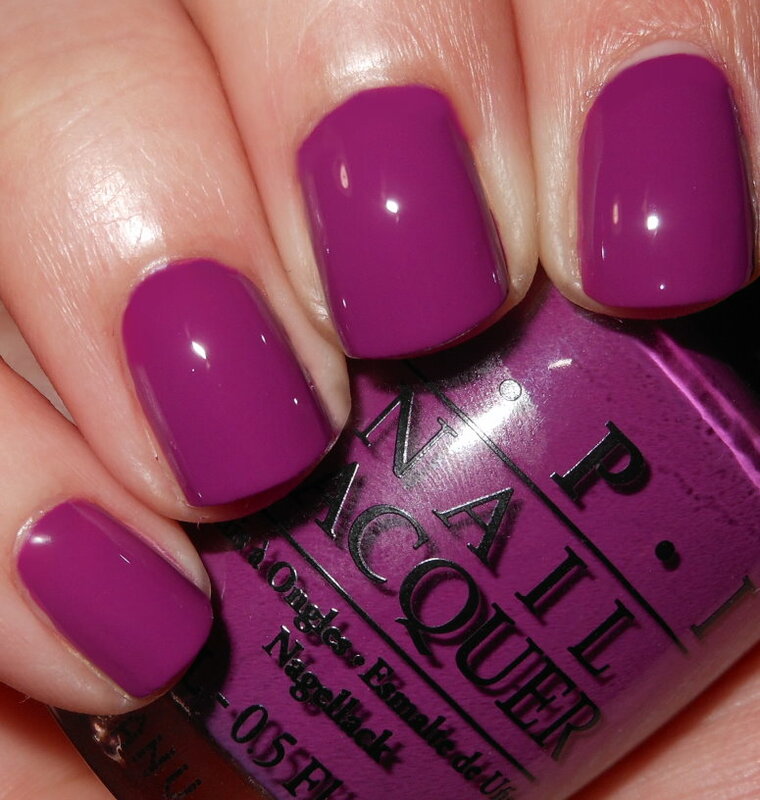 This OPI classic purple fits that bill for me. 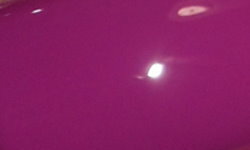 Pamplona Purple is a medium red-toned purple creme. Color: This is the perfect middle of the road purple shade. This isn't too bright or too dark, Pamplona Purple is just right. I also love that this a fun red-violet shade, while still being very classic at the same time. Does that make sense? This is kind of an every woman shade in my opinion. Anyone could pull this color off. Formula: Great easy and smooth formula. OPI can be hit or miss with me personally as far as formula, but this was a hit. I used 2 coats above. Price: This can be found in the $8-$9 range. I believe this is part of the core line so it can be found at Ulta and many salons that carry OPI. Also a quick search on the web brings up many results for it. Overall: I love this purple. This is actually a recent polish in my collection, and I find myself gravitating toward it a lot. The color is perfect for any time of year and it's really a very flattering color. I love Pamplona Purple! This is just so gorgeous on you! I don't yet have this OPI, but now it's going on my list! I so enjoy your Throwback Thursday posts, it's just really great to see older polishes swatched and written about. Thank you, Steph! That's a nice purple! Loving these throwback posts a lot. This is one of my ALL TIME favorite OPI's. I even have 2 backups. Thank you. I'm so glad you enjoy them! Awesome! It's quickly becoming a favorite of mine.